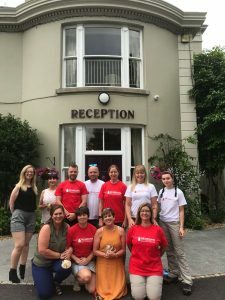 Good luck to all the Corriewood staff walking the Camino De Santiago all the best in their pilgrimage for Air Ambulance NI. towards Estella in Spain. Thank you very much!